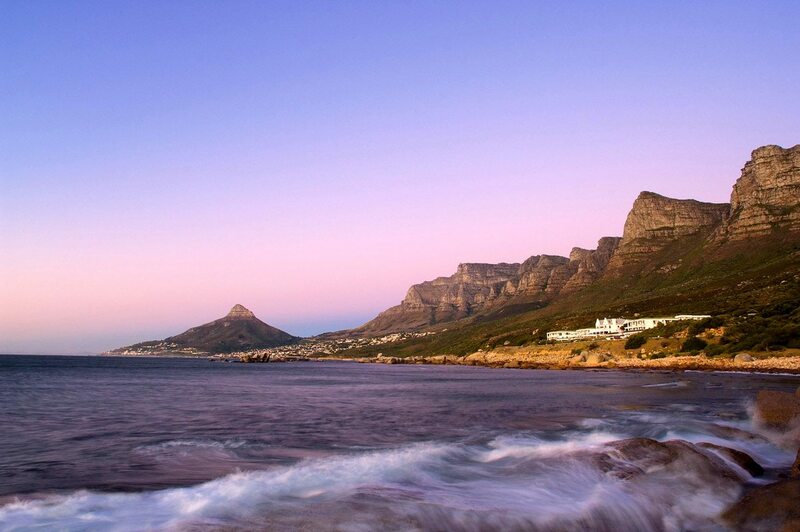 Stay on the edge of the Atlantic Ocean, with the peaks of Cape Town‘s 12 Apostles mountains guarding your back. Watch whale and dolphin traverse the sea while you dine on fynbos-infused foods, before indulging in a spa treatment or helicopter ride. 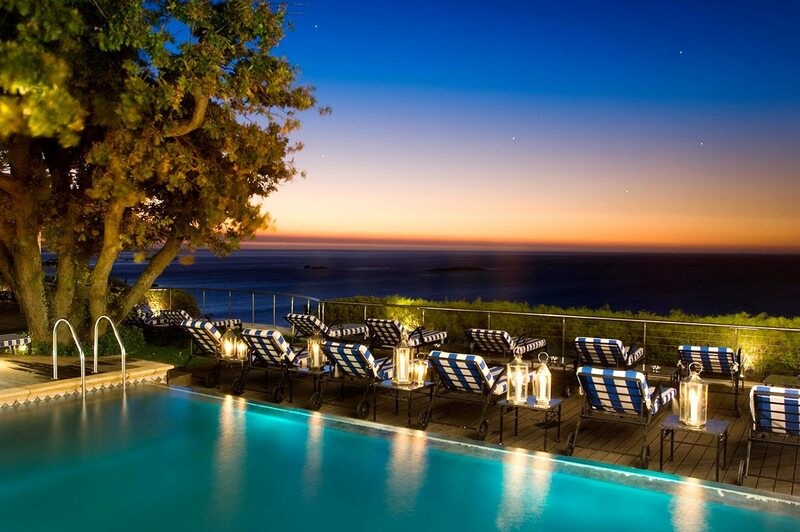 The 12 Apostles Hotel and Spa is a paradise. With staggering views of the 12 Apostles mountains behind me, and the Atlantic Ocean ahead, The 12 Apostles Hotel and Spa certainly knows how to make an impression. In fact, the Table Mountain National Park stretches to both sides of us. As part of South Africa‘s Cape Floral Region, it’s a World Heritage Site – and it’s easy to see why. Despite being surrounded by so much nature, we’re just 20 minutes (or an even shorter helicopter flight) away from Cape Town’s city centre, or the white sandy beaches of Camps Bay and Clifton. With staggering views of the 12 Apostles mountains behind me, and the Atlantic Ocean ahead, The 12 Apostles Hotel and Spa certainly knows how to make an impression. 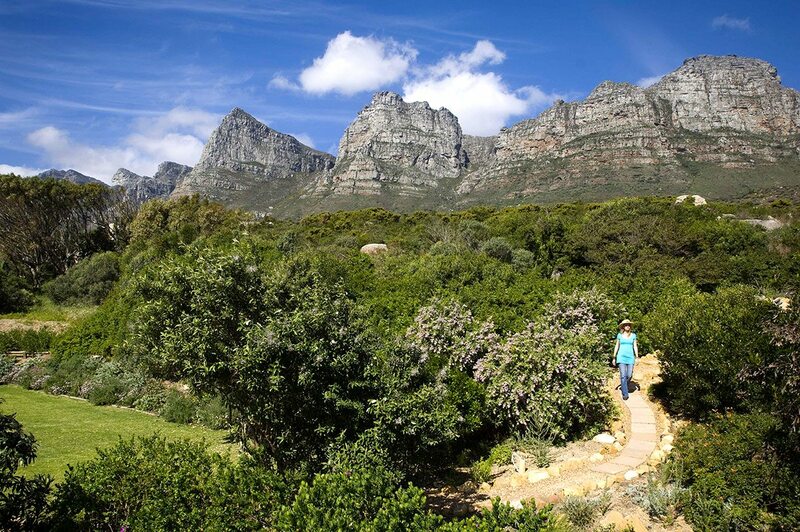 In fact, the Table Mountain National Park stretches to both sides of us. As part of South Africa‘s Cape Floral Region, it’s a World Heritage Site – and it’s easy to see why. Despite being surrounded by so much nature, we’re just 20 minutes (or an even shorter helicopter flight) away from Cape Town’s city centre, or the white sandy beaches of Camps Bay and Clifton. Although we were torn between rooms with mountain or sea views, we couldn’t resist the sea in the end, with its sensation of endless space (and promise of spectacular sunsets) stretching all the way to the horizon. Plus, there’s a good chance we’ll see whale and dolphin through the floor-to-ceiling windows of our open-plan suite.I walk down the three steps that separate our bedroom from the sunken lounge and its private terrace, to gaze out at the deep blue sea in the fresh Cape Town air. My partner calls me in, saying I can continue my sea gazing from the Leopard Bar, where high tea is about to be served. With a table groaning under an array of delectable treats, it’s no surprise that this luxury South African hotel is renowned for its culinary creations: dainty finger sandwiches, freshly baked scones, cupcakes and pastries, and delicious creative treats such as macaroons with chocolate filling and strawberry mousse. Awash in feelings of gastronomic wellbeing, we almost miss seeing playful dolphin swimming in the waves, but a neighbouring table alerts us with much excited pointing towards the ocean.Though we could take a quick helicopter flight to the V&A Waterfront for shopping and sundowners, we decide to make our first day at the hotel count, opting for a spa treatment under the gazebo. 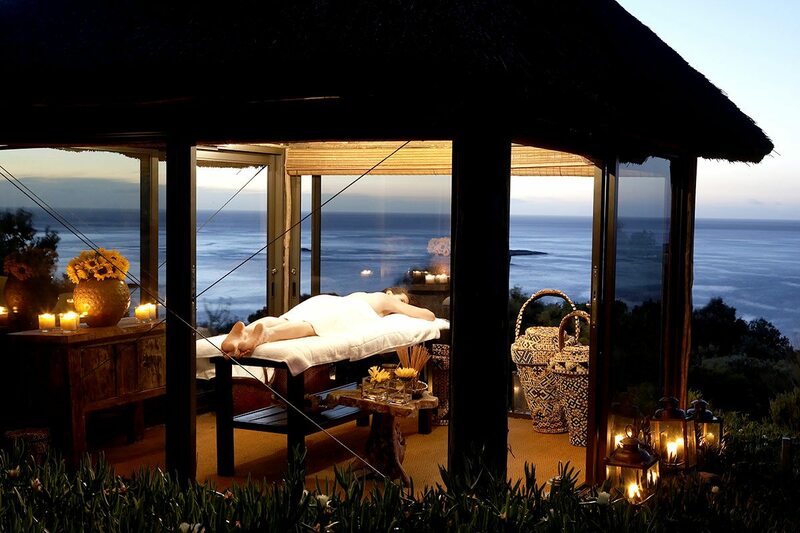 Lying here looking out over the sea, surrounded by the indigenous fynbos of Table Mountain, I feel completely at ease – after all, the only decisions I have to make are whether to dine at the famed Azure restaurant, or out on our private terrace. Although we were torn between rooms with mountain or sea views, we couldn’t resist the sea in the end, with its sensation of endless space (and promise of spectacular sunsets) stretching all the way to the horizon. 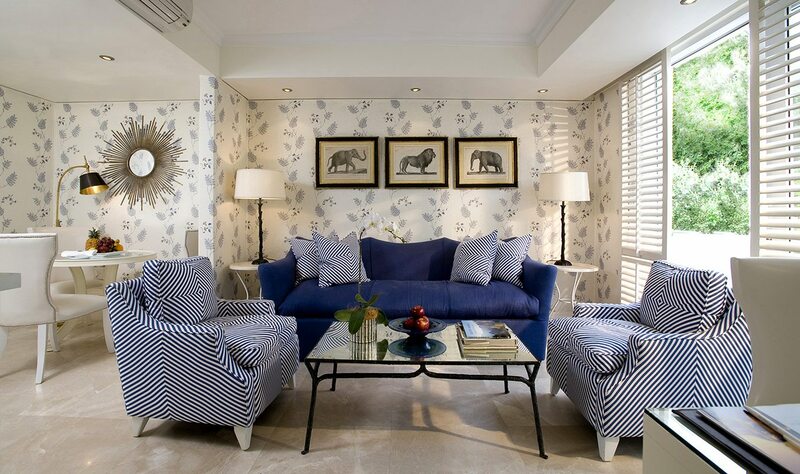 Plus, there’s a good chance we’ll see whale and dolphin through the floor-to-ceiling windows of our open-plan suite. I walk down the three steps that separate our bedroom from the sunken lounge and its private terrace, to gaze out at the deep blue sea in the fresh Cape Town air. My partner calls me in, saying I can continue my sea gazing from the Leopard Bar, where high tea is about to be served. With a table groaning under an array of delectable treats, it’s no surprise that this luxury South African hotel is renowned for its culinary creations: dainty finger sandwiches, freshly baked scones, cupcakes and pastries, and delicious creative treats such as macaroons with chocolate filling and strawberry mousse. Awash in feelings of gastronomic wellbeing, we almost miss seeing playful dolphin swimming in the waves, but a neighbouring table alerts us with much excited pointing towards the ocean. 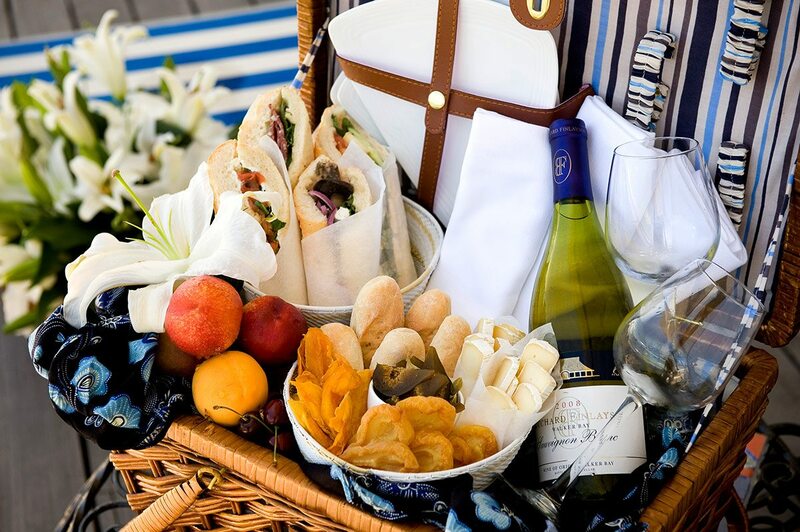 Though we could take a quick helicopter flight to the V&A Waterfront for shopping and sundowners, we decide to make our first day at the hotel count, opting for a spa treatment under the gazebo. 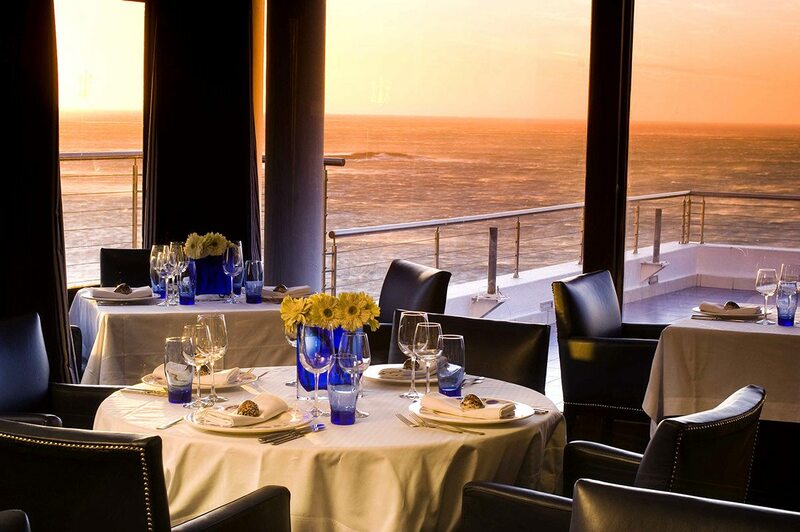 Lying here looking out over the sea, surrounded by the indigenous fynbos of Table Mountain, I feel completely at ease – after all, the only decisions I have to make are whether to dine at the famed Azure restaurant, or out on our private terrace. 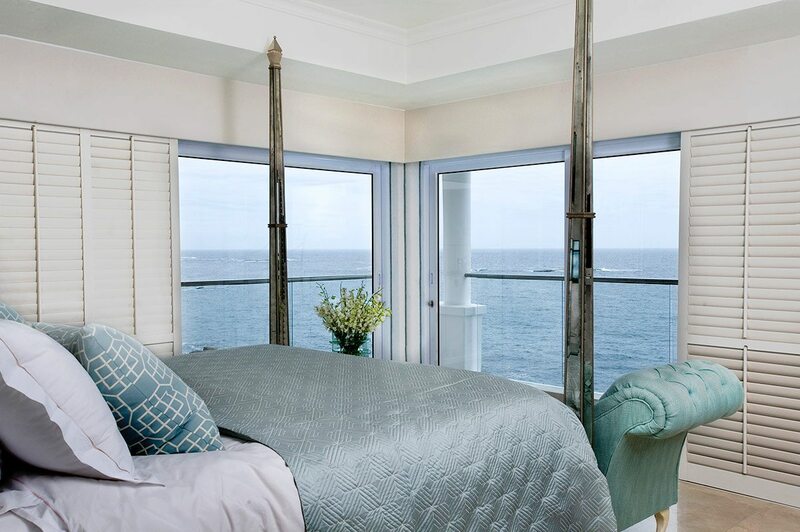 The 12 Apostles Hotel and Spa is so special – it’s hard to know where to start. Perhaps at the beginning, with its delicious breakfast buffet that includes freshly-harvested oysters and sparkling wine. 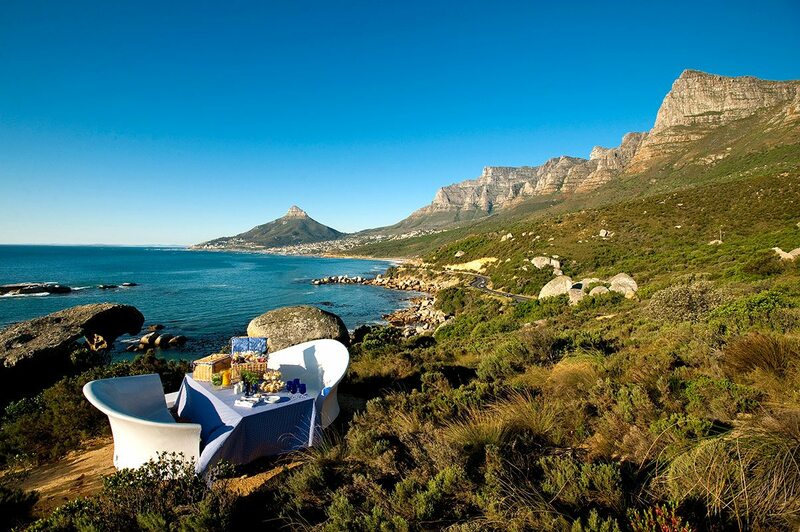 I also adore the mountainside picnics, surrounded by indigenous fynbos. With a wonderfully informed concierge and a scheduled shuttle service to the V&A Waterfront – as well as helicopter transfers (for spectacular aerial views) – we’ve had no trouble exploring the Mother City. That said, some days we’ve chosen to stay at the hotel, enjoying the fine food and swimming pools. To sweeten the stay-in deal, there’s a private, 16-seater cinema and even a Sport Buddy service – when an staff member will exercise with you if your partner is too busy relaxing! 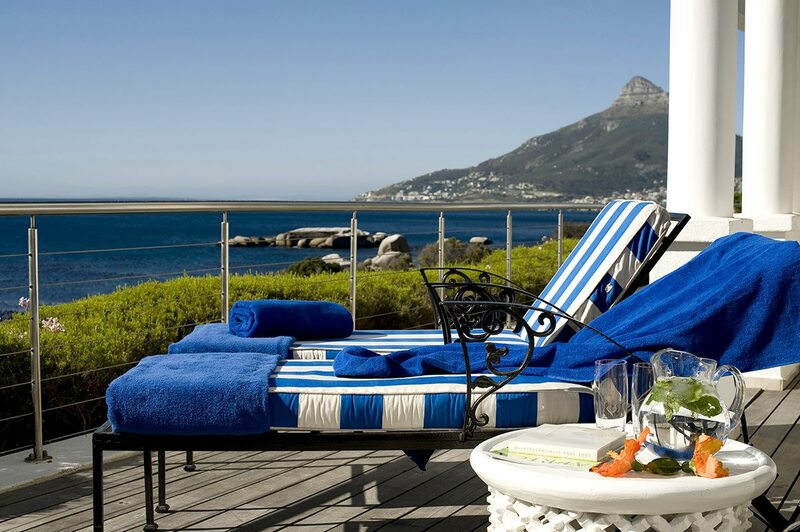 Above all, the 12 Apostles Hotel and Spa’s location sets it apart. On one side, you can stroll the mountain trails in a national park, and on the other, you can dive a wreck in a marine sanctuary … and just around the corner is Cape Town’s vibrant city centre! 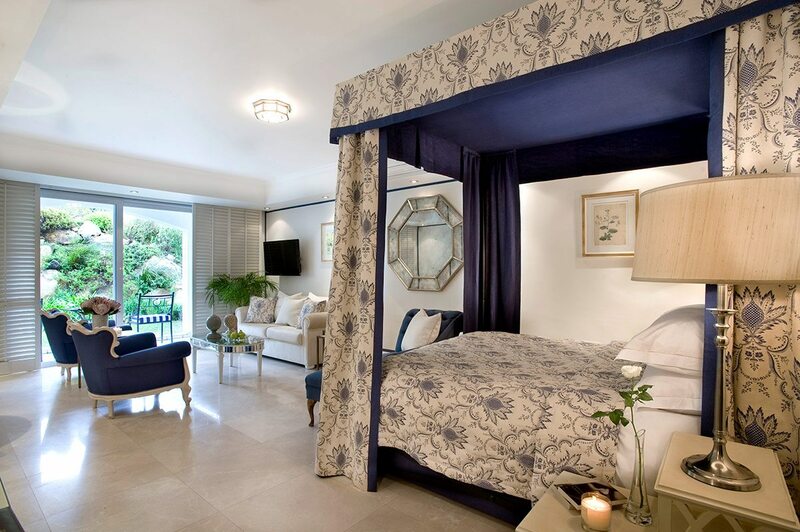 The 12 Apostles Hotel and Spa is so special – it’s hard to know where to start. Perhaps at the beginning, with its delicious breakfast buffet that includes freshly-harvested oysters and sparkling wine. I also adore the mountainside picnics, surrounded by indigenous fynbos. With a wonderfully informed concierge and a scheduled shuttle service to the V&A Waterfront – as well as helicopter transfers (for spectacular aerial views) – we’ve had no trouble exploring the Mother City. That said, some days we’ve chosen to stay at the hotel, enjoying the fine food and swimming pools. 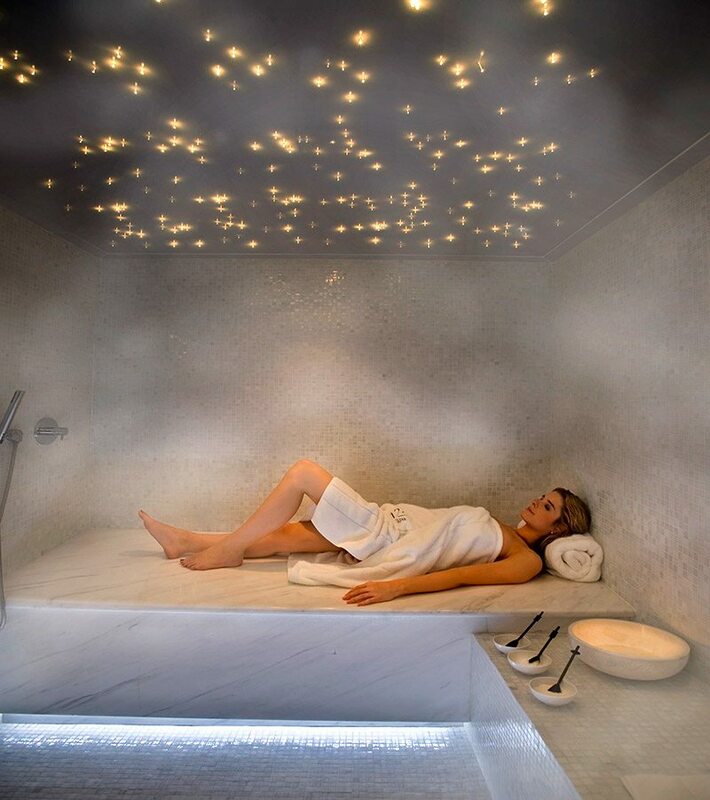 To sweeten the stay-in deal, there’s a private, 16-seater cinema and even a Sport Buddy service – when an staff member will exercise with you if your partner is too busy relaxing! 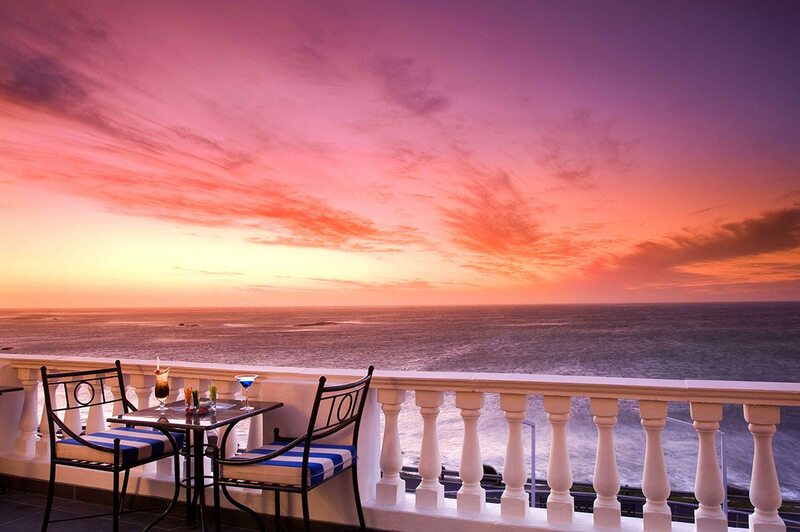 Above all, the 12 Apostles Hotel and Spa’s location sets it apart. On one side, you can stroll the mountain trails in a national park, and on the other, you can dive a wreck in a marine sanctuary … and just around the corner is Cape Town’s vibrant city centre! 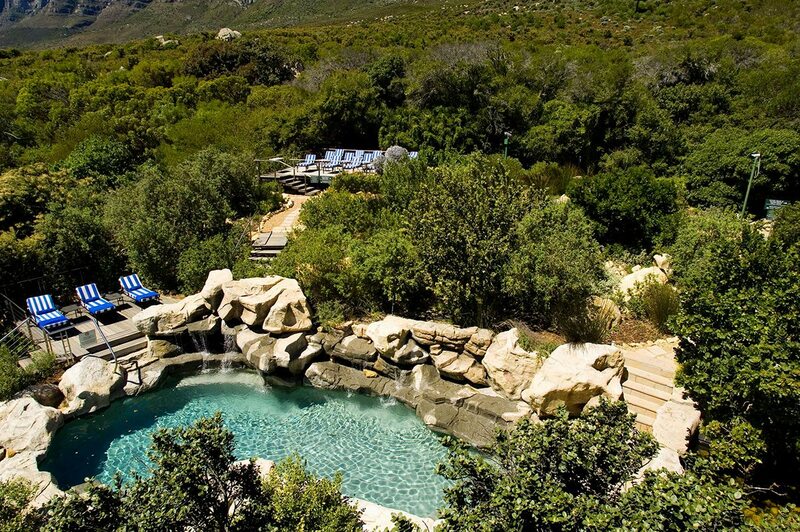 Luxury hotel nestled on the edge of Table Mountain National Park with a Jacuzzi, spa, fitness room, 16-seat cinema, helipad, bar, two heated swimming pools and three restaurants. 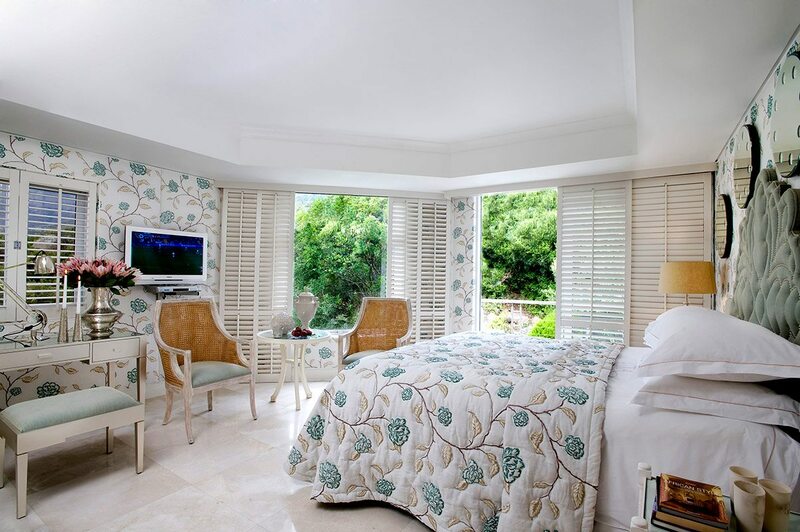 There are 70 mountain- or sea-view rooms or suites, including a Presidential Suite. National park, private dining, concierge service and flexible schedules. The Presidential Suite has a private butler. Hiking, jogging, swimming, meditation, stargazing, films, wine tasting, picnics (additional cost), spa treatments (additional cost), helicopter trips (additional cost) and wreck and ocean diving (additional cost). Children are welcome, with children’s activities provided. Babysitting services are available (additional cost). Cape Town’s Mediterranean-style climate is quite different to the rest of South Africa’s. Warm, dry summer months are from November to April, and Cape Town truly comes into its own from January to March, with average daytime temperatures around 30°C. Hot days at the beach are moderated by the ‘Cape Doctor’, the southeaster wind that’s responsible for the city’s clean air. December is family-holiday time in South Africa, and the city bursts into a hive of busy activity. You’ll be spoiled for choice when it comes to concerts and events. This is when Cape Town experiences cooler, wetter weather. After the hot summer months, May sees temperatures drop to a daytime average of 20–25°C. Essentially, winter in Cape Town resembles the best parts of a Northern Hemisphere spring. The midwinter, in June and July, is far from bleak, although temperatures average 18°C at most and you should expect showers. By September, the sun makes headway again, and Namaqua daisies cover the land. Another highlight is the whales, which frolic in the Cape’s waters from June to November, calving in July and August.